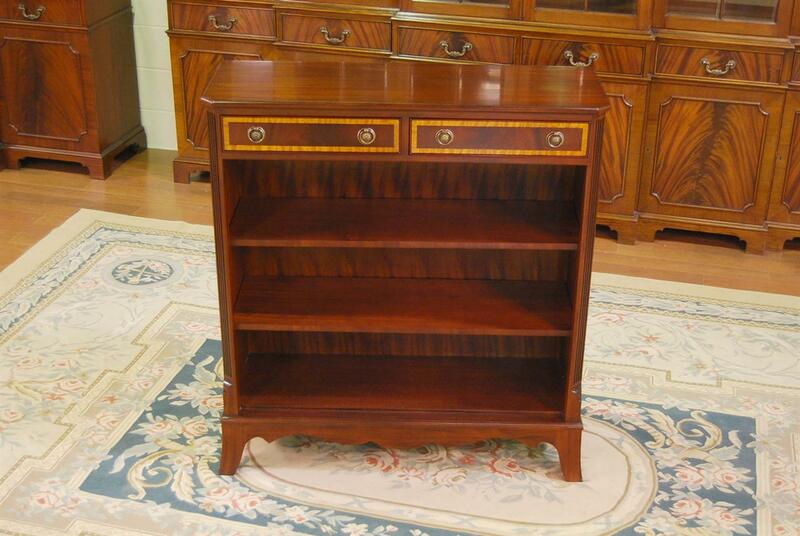 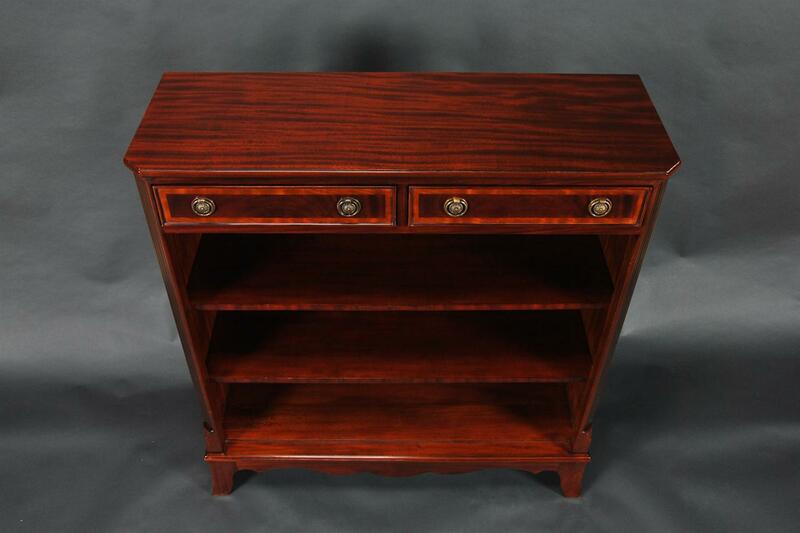 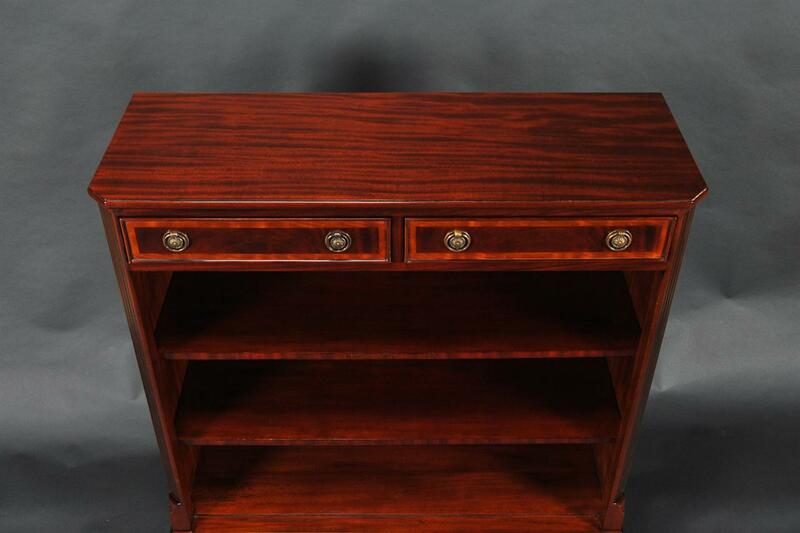 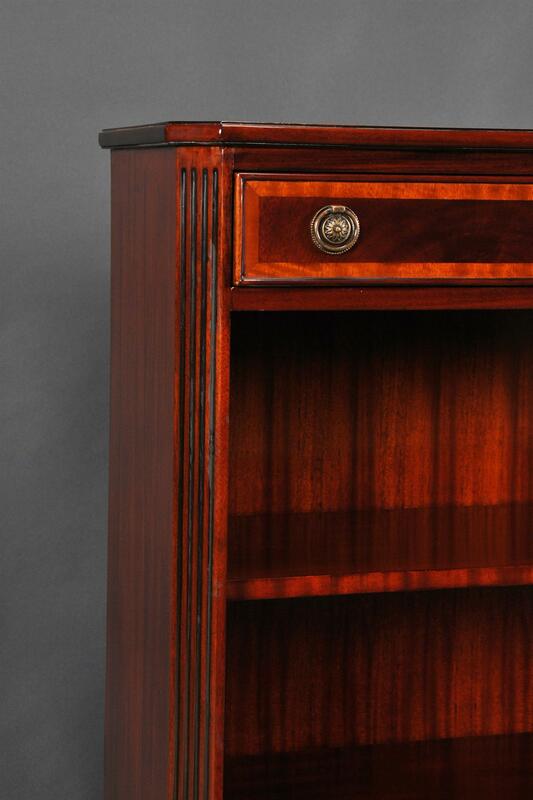 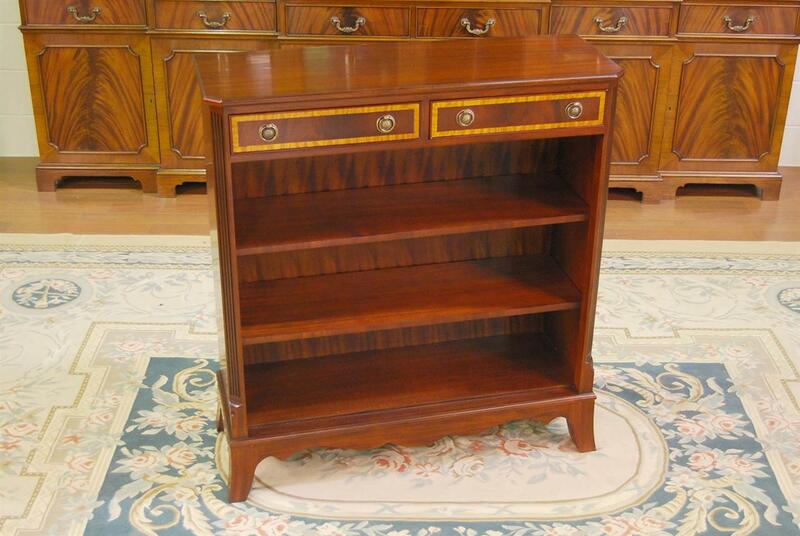 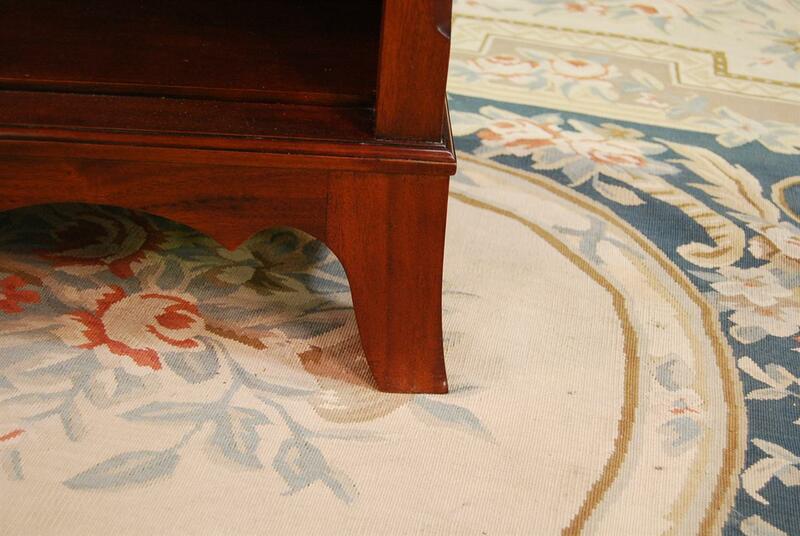 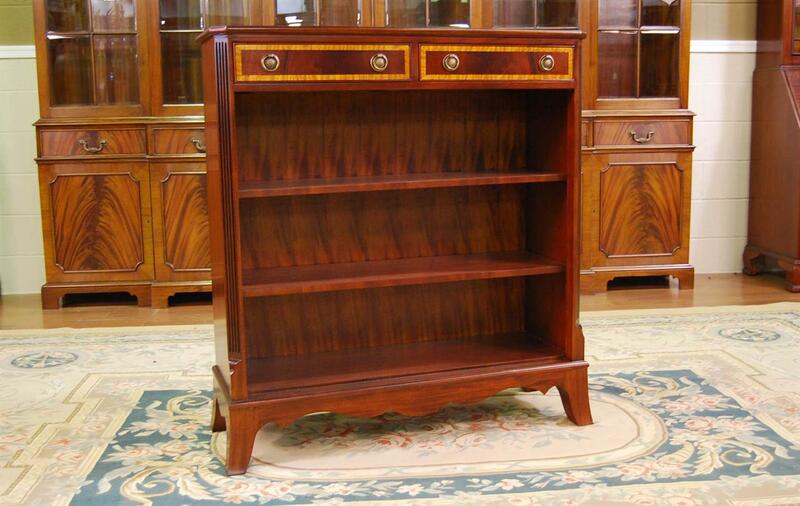 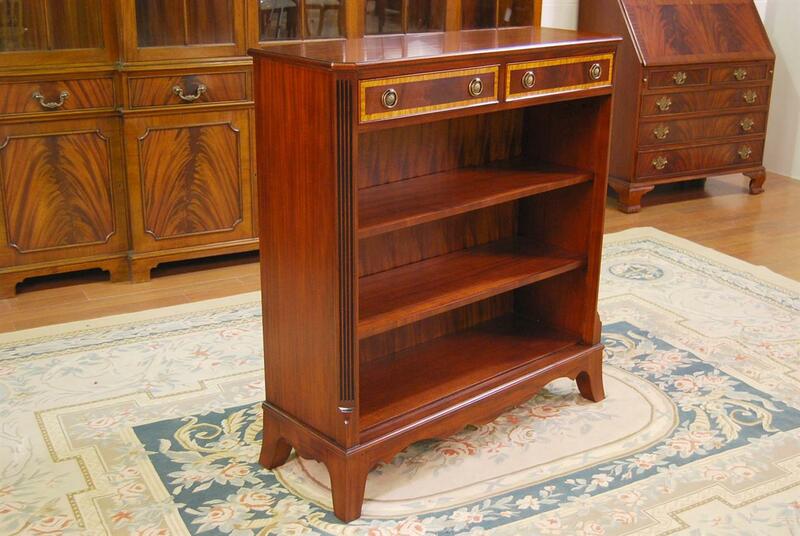 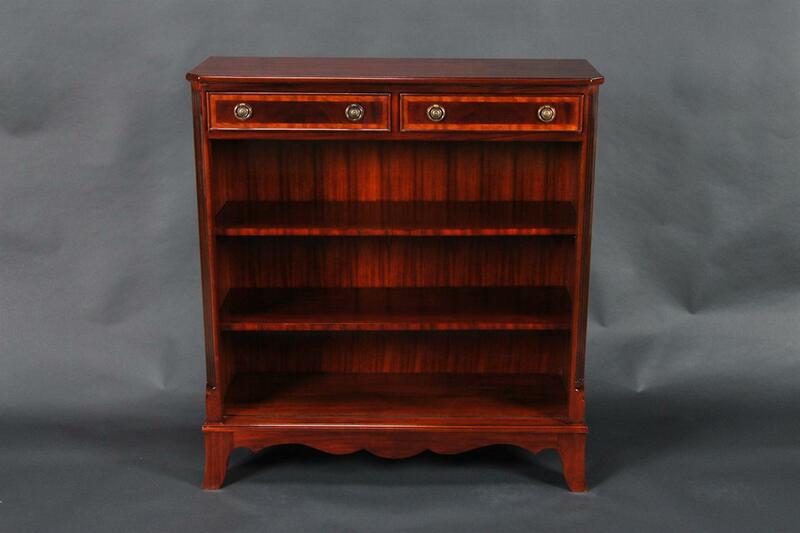 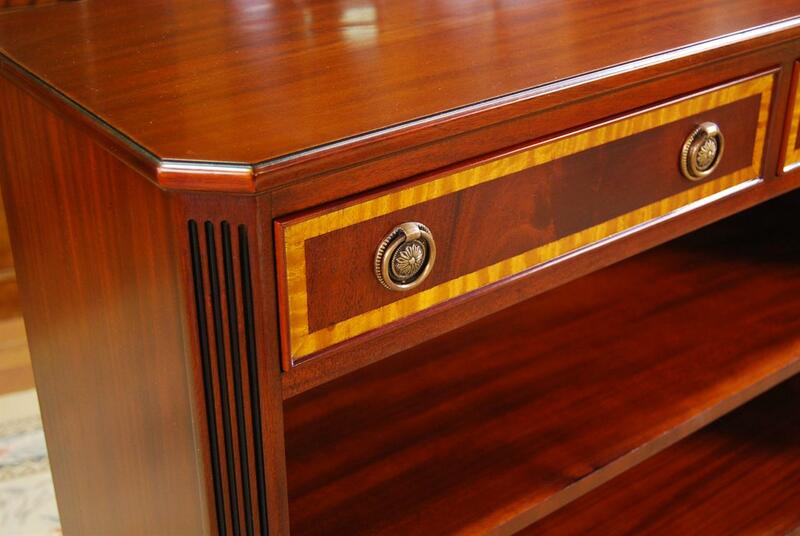 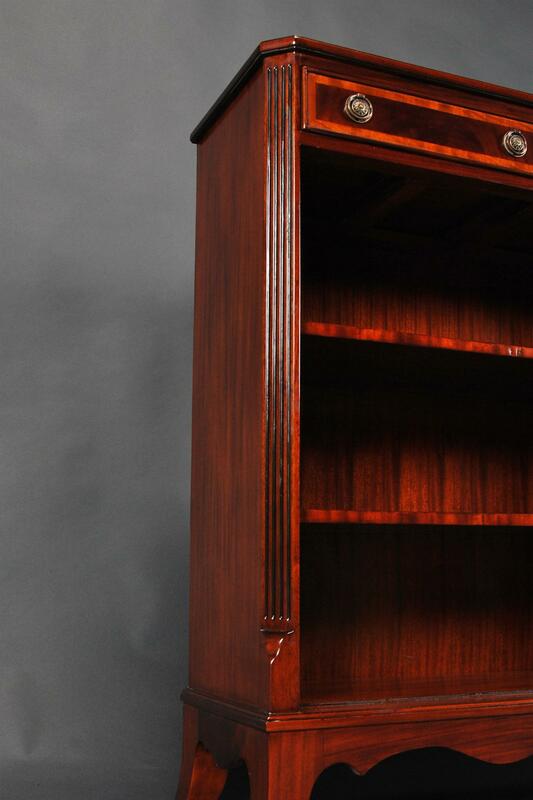 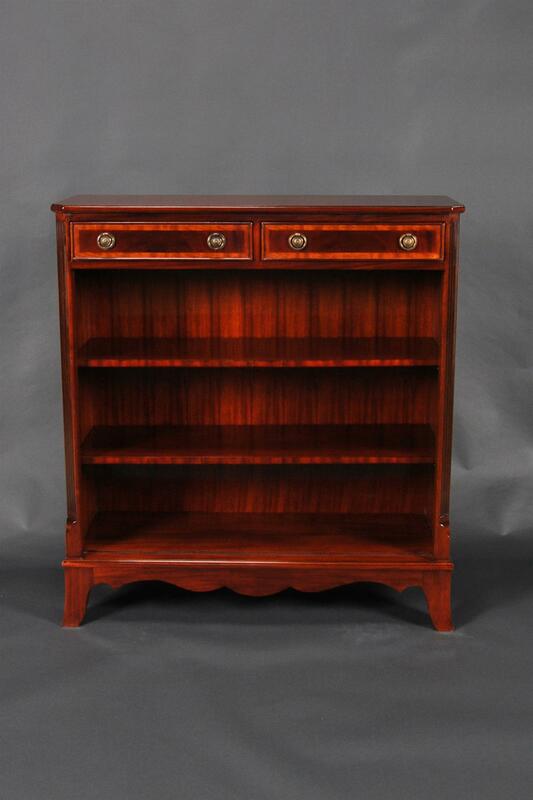 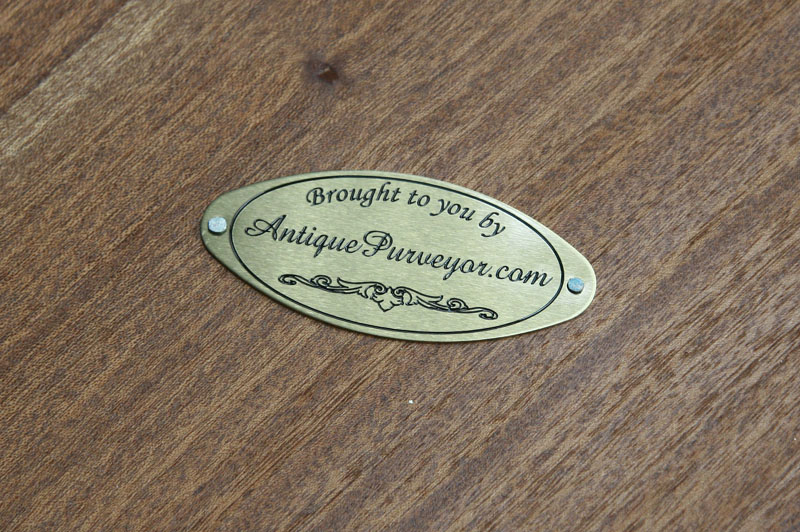 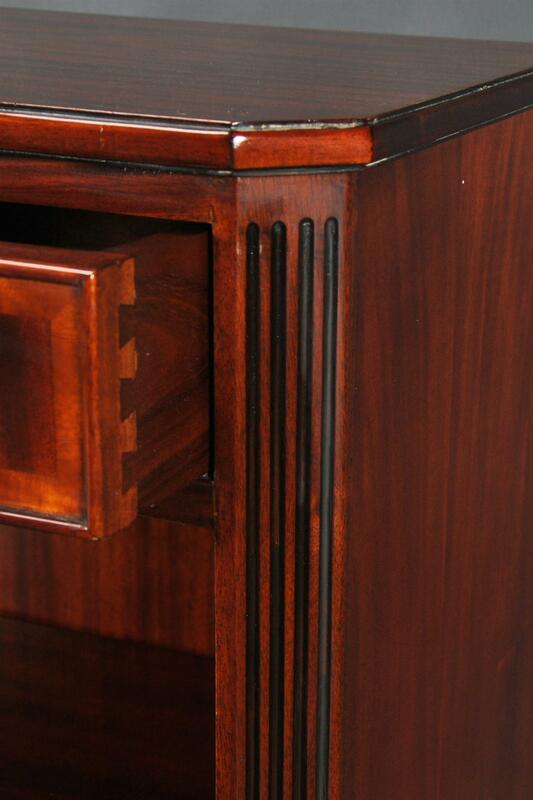 Description: A refined bookcase made from mahogany and satinwood veneers, solid mahogany frame and construction. 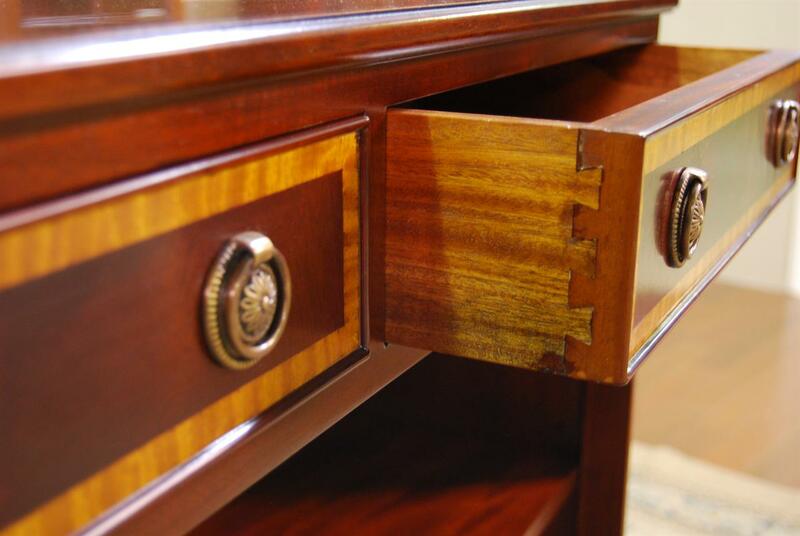 Two dovetailed drawers provide storage for smaller office items and two adjustable shelves provide an area for larger books. 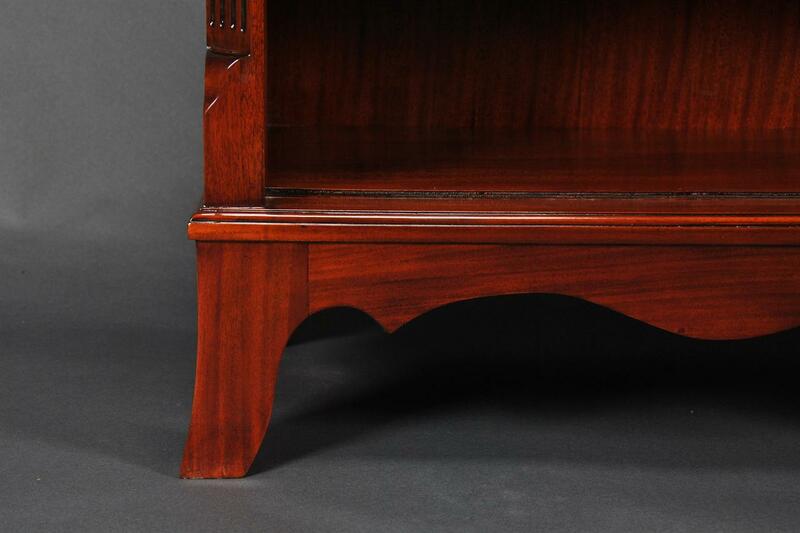 Shapely feet and a shaped skirt add elegance.